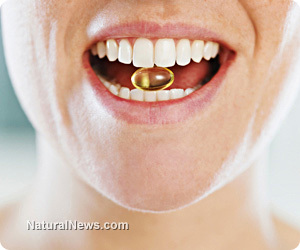 (NaturalNews) Despite the ridiculous pharmaceutical-sponsored reports that omega-3 fats and fish oils increase the incidence of certain cancers, including those of the breast and prostate, scientifically validated research studies continue to confirm that the long-chain fats, DHA and EPA, are essential in the prevention and even treatment of many cancer lines. Both oral and skin cancer diagnosis have increased over the past decade as people make fewer trips to the dentist for routine care and slather on sun protective lotions in the misguided belief that they will be protected from the damaging ultraviolet rays of the sun. Researchers from the Queen Mary University of London in the UK, publishing the result of their study in the journal, Carcinogenesis, have found that foods containing omega-3 fatty acids may help in the prevention of early and late-stage oral and skin cancers. The team determined that the fatty acid, eicosapentaenoic acid (EPA), may offer benefits to people with certain cancers, based on prior studies suggesting that the fatty acid can kill off cancerous cells. Scientists tested the effects of omega-3 fatty acids in a laboratory setting using in vitro samples of cancerous cells, and focused their study on one specific type of cancer called squamous-cell carcinoma (SCC). In addition to the skin and mouth, SCC cancer lines can also occur in the lining of the digestive tract, lungs, as well as other areas of the body. The test results showed that omega-3 fatty acids induced cell death in malignant and pre-malignant cells in doses that did not affect normal cells. Lead study researcher Dr. Kenneth Parkinson concluded, "We found that the omega-3 fatty acid selectively inhibited the growth of the malignant and pre-malignant cells at doses which did not affect the normal cells... surprisingly, we discovered this was partly due to an over-stimulation of a key growth factor (epidermal growth factor) which triggered cell death. This is a novel mechanism of action of these fatty acids." The scientists determined that since the dose of omega-3 fats required to kill cancer cells did not affect normal cell function, the long-chain fats could be used for the prevention and treatment of oral and skin cancers. Omega-3 fats are found in abundance in their bioavailable form mainly in oily, fatty fish. Nutritionists recommend two to three servings of fish per week, ideally obtained from an organically harvested, deep water source to avoid the possibility of mercury contamination. Additionally, walnuts, flax and chia seeds are good sources of omega-3 fats, but must be converted through a multi-step process in the body to be available for metabolic processes. Many health-minded individuals prefer to supplement with fish oil capsules (1,200 to 2,400 mg EPA/DHA per day) to improve brain health, prevent a potentially fatal heart attack and lower the risk of developing many types of malignancies including oral and skin cancers.